Reservation Requests Only Taken Online! Interested in something different? 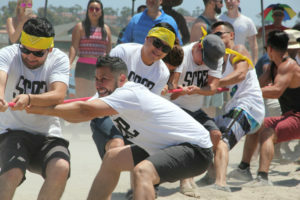 You can arrange to bring and setup your own Team Building games! 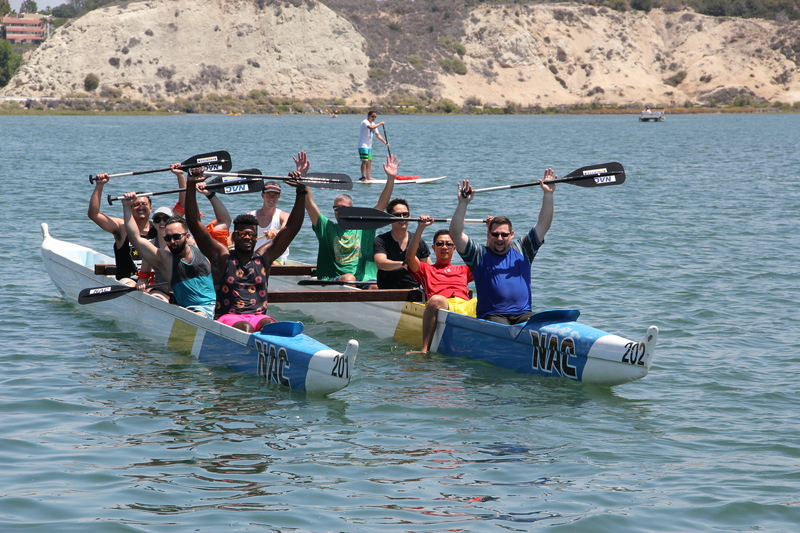 The NAC is a great facility for hosting special events for groups such as birthday parties, office parties, and team building clinics paddling our Outriggers. Reservations must be made below at least 2 weeks in advance and blocks of time are 9AM-12PM or 12PM-3PM. When on the water we provide an NAC staff person to steer for you on the Outriggers. A double Hull Outrigger holds 12 people and a triple Hull holds 18. Bring or cater some food for yourselves to enjoy afterwards if desired. We can arrange a tent, picnic tables and a barbecue to suit your function. THERE ARE NO RESERVATIONS or SPECIAL GROUP RATES for Kayaks or Stand Up Paddle Boards. They are separate as rentals only. Please fill out the Online Reservation request form below at least 2 weeks ahead. Minimum 10 people, maximum 36. You will be contacted by phone or email to discuss your request. Reservation confirmation is ONLY done by Kelly Thompson. Reminder: We accept cash, checks, Visa and MasterCard only. Please allow at least 72 hours to hear back from us.